The essays in this volume focus on the interpretation of the Book of Psalms and comparable texts in the Hebrew Bible. A variety of methods is applied to the ancient texts. Some essays concentrate on composition and structure, others on redaction and context. It is of great interest to see that each approach has its strength and its limits: stressing the importance to read the Psalms with a multi-dimensional matrix of methods. 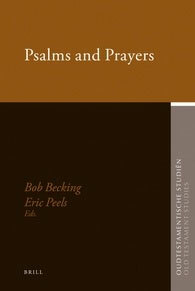 By viewing the Psalms as prayers, and thus as expressions of both faith and despair, a perspective on the contents of the ancient hymns and their functions in daily life has been opened. This volume contains various incentives for future research.